While young adults and teenagers are handed phones and tablets for entertainment, communication and empowering them with all the advantages that technology provides, most parents are concerned with the kind of exposure they gain from these devices. The freedom to stay connected to their friends and others through chat and messenger services as well as through calls and messages offers them several distracting options. Here we check out the fine line between allowing children freedom through phones and tablets or apps and monitoring their activities without the drawbacks that it can lead to. Why parents want to use phone usage tracker? Parents need to establish an environment of trust and responsibility with their children, especially teenagers. There has to be a fine balance maintained in allowing teens the freedom of being able to communicate and explore different aspects of the digital life and trusting them to make the right judgments. However, keeping in mind their growing years and exposure of the digital or online world, parents also need to keep an eye out on the kind of interaction they have, the kind of content they are being exposed to which can have varying impact on their young minds. That is where phone usage tracker comes of use. How to set up sensible supervision for mobile devices? Trends show that micromanaging accounts of children and their internet usage with a usage tracker could lead to a disruptive relationship between parents and children and drive a wedge in their relationship. It is essential to set down some standards and norms and to put restrictions in a subtle way that does not lead to resistance in children. One approach to take up is to track in a proactive manner and limit access from the beginning. Instead of being reactive to certain browsing activities that can lead to children resisting their parents, blocking out certain sites and limiting access will help to limit exposure to disruptive or harmful content to young minds in the first place. Since most teens are more aware of the latest technology trends and features, it is best to be open with them as to what you are aiming to do. Discuss with them the distraction that certain game apps or chat services present when they are used for too long; hence, parents can openly discuss the importance of setting a limit or blocking out certain sites or apps so that children can concentrate on their study time and on apps or activities that are more beneficial. There are several third-party applications or iPhone usage tracker that can help phone users to track their phone usage and that of apps and control certain addictive behavioral trends that come in, both in oneself as well as the control that in other family members such as children. This app is available through the Apple app store. With location logging and GPS capabilities, it can monitor the number of times a phone is picked up, how long it is used and how often you open and close the device. 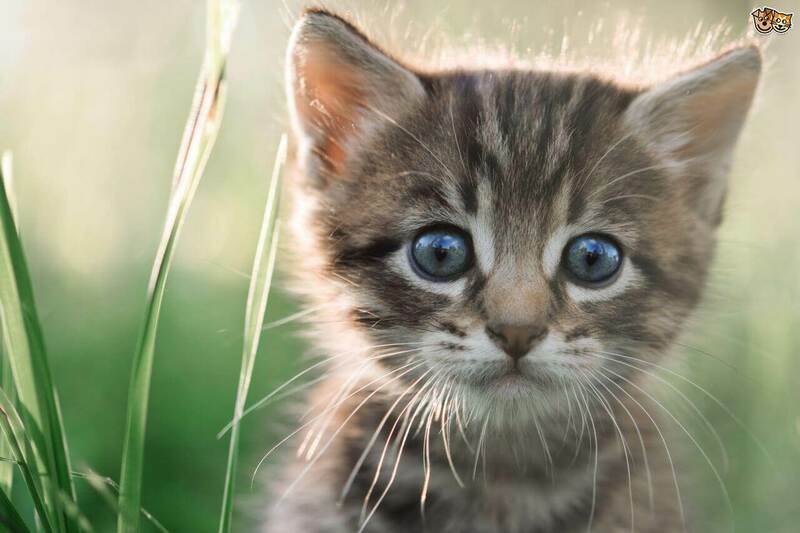 There are data points shown with such data that is aggregated. It can also track the different places that you were and how you used your phone in the different locations. The pro version can help to decrease phone usage; there is a course offered with exercises for the users that they can do every day to reduce their dependency on the device. Moment Family is a version that helps parents extends the tracker service to their children’s devices as well. 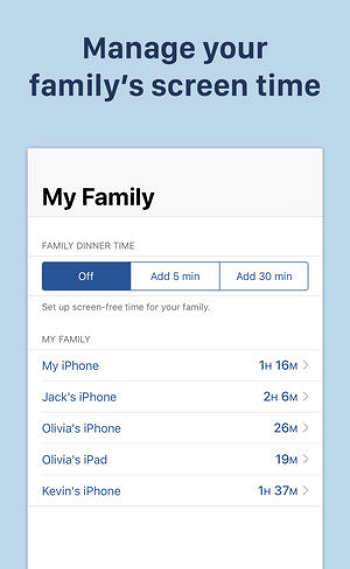 Moment Family is a paid subscription service that this iPhone usage tracker offers. It can opt as a three monthly or annual subscription. Once this is taken up, it is possible to link to other family member’s devices and monitor their phone and app usage. Open the app that is already installed in your phone or tablet. Find the option called “Start A Family”. Here you will be asked to sign up to create an account using your email address and password. Once the account is created, one needs to share the contact details of those whom they wish to monitor. The family members would be sent a link to sign up via email; they will find the app download link. 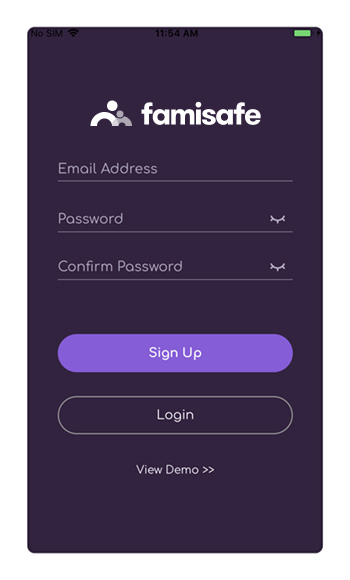 Once the app is downloaded on the family member’s device, details of their phone and app usage would be uploaded in the main member account as well. Parents can set up limits on screen time as well as for using certain apps on family linked devices. 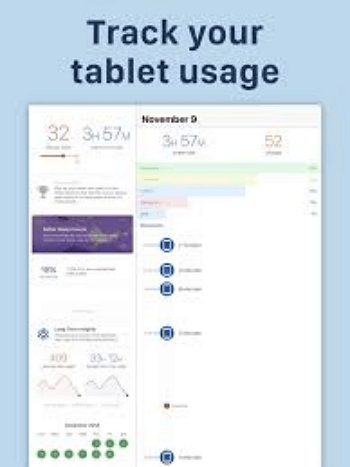 With Moment Family plan, not only does a single subscription service allow linked member devices to use the different features of this app but also allows parents to track and limit the amount of time that children spend on their phones or on certain apps. This is an app that is ideal for parental monitoring. There are several useful features included in it such as checking of browser history, monitoring of apps and GPS tracking among others. 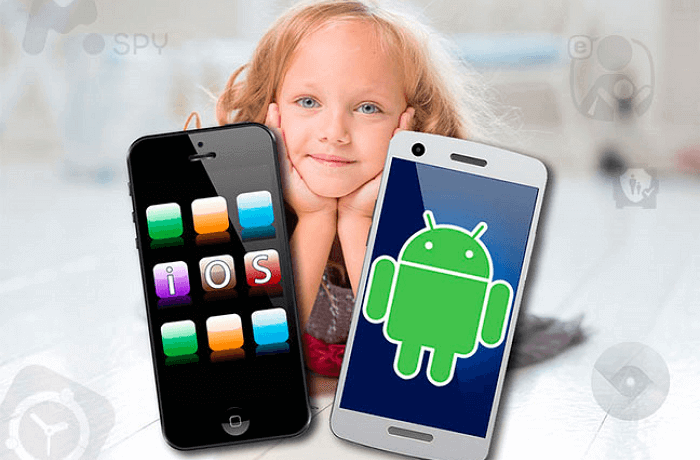 There might not be the advanced spy app functions but the main aim is to take a proactive approach towards limiting access to disruptive apps and sites as well as to be able to know the whereabouts of your children. The app is easy to install and use and comes with versions that are compatible with iOS as well as Android phones and tablets. If you wish to use the different features of this iPhone usage tracker it is necessary to take up the annual subscription service of the same. 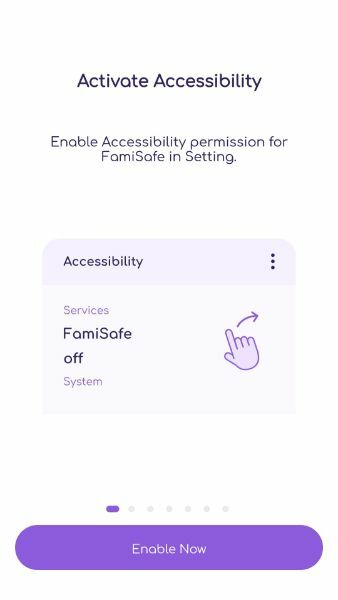 How to set up FamiSafe in your child’s device? A parent needs to first register for an account; there are free versions available for trial; however, to use its different features it is necessary to subscribe to the packages. The second step is to download the app on both devices that is in the parent as well as in the child’s phone. Certain setting changes need to be done after the app is installed on both phones. 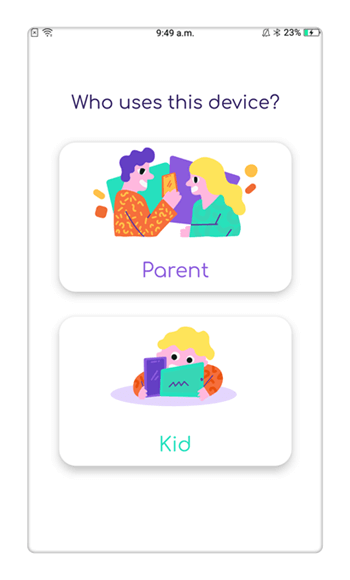 The app that is downloaded on your child’s iPhone needs to be configured by choosing the Kid identity and filling in the kid’s name and specifying his or her age. Certain permissions need to be granted including allowing access to the app to location details on the device. There is a mobile device management file that needs to be downloaded and installed. After the permissions are granted, accessibility is a feature that allows a user to block out certain apps; under this feature, a parent can also set up app supervision feature that allows detailed reporting of app activity. 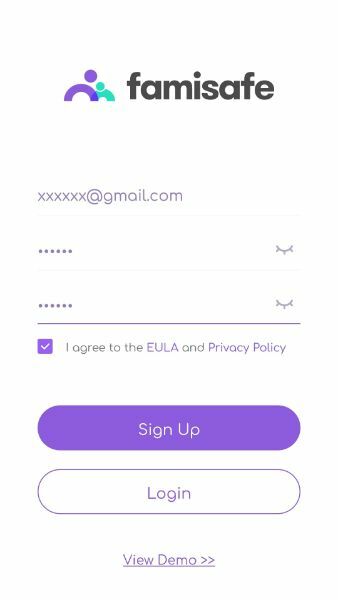 Administrator permission set up should be done which will help a parent to lock out the phone screen as and when required and prevent a child from seeing inappropriate content. The above steps will help to make the right settings in place so that certain apps can be blocked or time limits set in the phone of a child; parents will also be able to view app activities through their dashboard on the app account as well as set lock screen option as and when required. Parents can restrict how long a phone or tablet or app is used so that kids do not get addicted to the same. Restrictions can be set for homework or bedtime hours to manage such time periods for children. Parents will remain aware when kids are accessing inappropriate content. Browser history can be tracked on children’s devices. Social interactions such as phone calls and text or chat messages can be tracked as well. Parents need to set limits on how their children use phones or apps on their tablets. Restricting access or setting time limits with an iPhone usage tracker will help prevent addiction to gadgets and apps in children from an early age.